Please register a domain to your public IP, e.g. godaddy or some other free domain register, e.g. freenom. We are going to install Let’s Encrypt with OLS on an AWS Linux server. Both OLS and Amazon Linux are not listed on the CertBot list but we are still able to install them using the following method. Would you be willing to share your email address with the Electronic Frontier Foundation, a founding partner of the Let’s Encrypt project and the non-profit organization that develops Certbot? Your cert will expire on DATE. To obtain a new or tweaked version of this certificate in the future, simply run “certbot-auto” again. 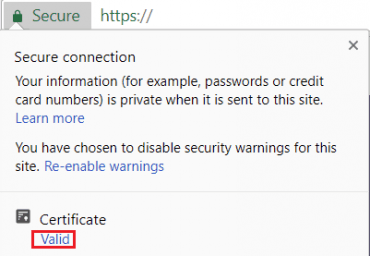 Open your site with https protocol. Click Secure to view site information. 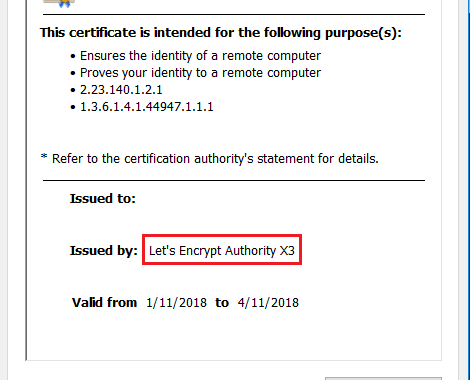 Click Valid, then you will see certificate information which should include Issued by Let’s Encrypt.